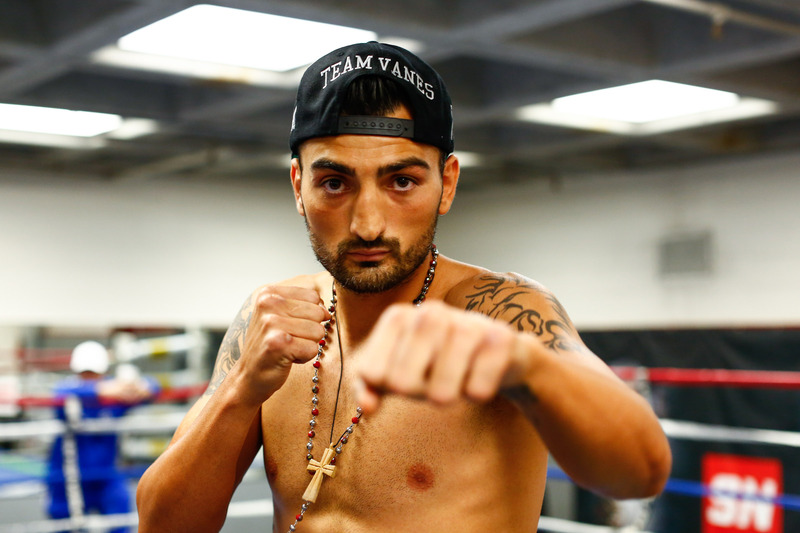 Vanes Martirosyan has hit out at ESPN boxing columnist Dan Rafael over comments made on social media about his proposed match-up with undisputed middleweight champion Gennady Golovkin on May 5. The WBA, IBF and WBO middleweight titleholder was scheduled to face Canelo Alvarez in a rematch on the Mexican holiday of Cinco De Mayo until the popular Alvarez twice tested positive to the banned substance clenbuterol, forcing his withdrawal from the fight that was to take place at the T-Mobile Arena in Las Vegas, Nevada. With the venue now looking like being changed to the StubHub Center in Carson, California, local junior middleweight Martirosyan has firmed as favourite to meet the Kazakh bomber in the ring. The comments, while true, got Martirosyan’s hackles up. Earlier this week Golovkin’s promoter Tom Loeffler spoke to The Ring magazine about the match-up.